Sometimes even the smallest leak can cause a huge amount of water damage, which can cost the homeowner in both money and time, and this is what our water damage Saint Louis Park team with 911 Restoration Minneapolis is trying to prevent. 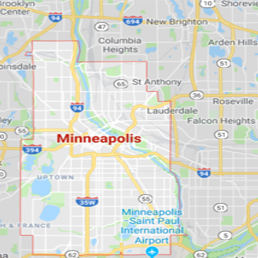 Residents of Saint Louis Park know just how important it is to have a home restoration company nearby that they can trust, and 911 Restoration Minneapolis is that company. Our water damage Saint Louis Park team knows how to cleanup the worst water damage scenarios, whether it is caused by leaks in the roof from heavy rainfall or a flood in the basement from a frozen pipe that burst. Owners of 911 Restoration of Minneapolis Patricia Engen and Jenna Reese understand the need to be comforted during such a vulnerable time, and they want you to know that with the water damage Saint Louis Park pros on your side, you can rest assured that your home will be looking beautiful again in no time. Our service agents are on call 24/7/365, so you can call us literally anytime, day or night when you need helping cleaning up water damage. 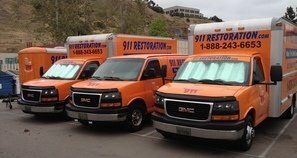 The water damage Saint Louis Park team with 911 Restoration Minneapolis will be at your door within 45 minutes of your call, fully prepared to immediately get to work. The water damage Saint Louis Park experts want their community to be as prepared as possible when it comes to preventing water damage, especially during the rainy seasons. Below are some of their favorite tips to keep your home safe. Get your plumbing inspected by a professional every year. Annual plumbing maintenance is your best defense when it comes to catching faulty, leaky pipes. This will stop small inconveniences from becoming huge problems. Repair all leaks, even the small ones. A slow dripping leak may not seem like a big deal, but after years of that leaking water, it could cause major water damage in the floor or wall it is dripping into. Keep your water heater in good health. Water heaters that are not properly maintained can actually explode, resulting in severe water damage. Install a backflow prevention system. This is especially helpful during a flood. 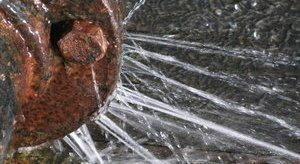 A good backflow prevention system will cause the water to drain away from the home, as opposed to flowing into it. Do not neglect your basement. This is an area of the home that is most susceptible to water damage, especially flooding. Basements are damp and dark, making it the ideal place for mold growth. By installing a sump pump, you can help keep it dry and mold-free. Don’t suffer through a flooding invasion alone without first getting help from the best in the business. Contact our water damage Saint Louis Park team with 911 Restoration Minneapolis and let our experts help with everything today! Patricia and Jenna and their water damage Saint Louis Park experts with 911 Restoration Minneapolis care more about putting their customer first than anything else. Our professionalism is one of our best attributes, and we strive to make sure that all of our customers recognize that trait in our water damage Saint Louis Park staff. It is important to get standing water taken care of as soon as possible, especially during the humid Minneapolis summers. Left soaking under carpet, wood floors or drywall, water can cause a mold infestation, which can be detrimental to both the structure of the home and the health of its inhabitants. The IICRC certified water damage Saint Louis Park crew is more than qualified to help you during your time of need. With over 35 years of experience behind them, they know how to get the job done right the first time around. If you have any flooding issues, please, do not hesitate to call our water damage Saint Louis Park team with 911 Restoration Minneapolis so we can get started taking care of your home or office today!